Are you thinking about having a natural childbirth? Here are a handful of things that I did that helped me learn how to manage labor pain naturally in my childbirth. When I got pregnant the first thing I started worrying about was the labor and delivery, even though it was months away. 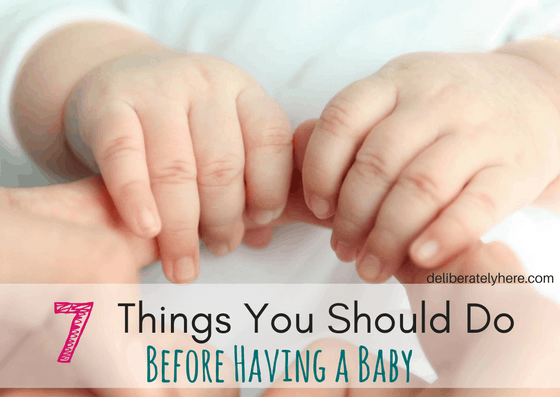 I always knew I wanted to have a natural labor and birth, but until I became pregnant I didn’t realize how unprepared I really was. I didn’t know the first – or last – thing about labor. What if I couldn’t handle it? What if I didn’t have a high enough pain tolerance? I had never even so much as broken a bone in my body, so how was I supposed to know whether I could manage intense pain or not? ✅ If you are serious about having a natural childbirth, I highly recommend you read this book to learn the best techniques for a safe, natural delivery. Regardless of how little I started off knowing, I was able to study, talk to a doula and multiple doctors, and research, research, research, and by the time the end of my 9 months of pregnancy came around I felt more prepared than ever to have this baby naturally. 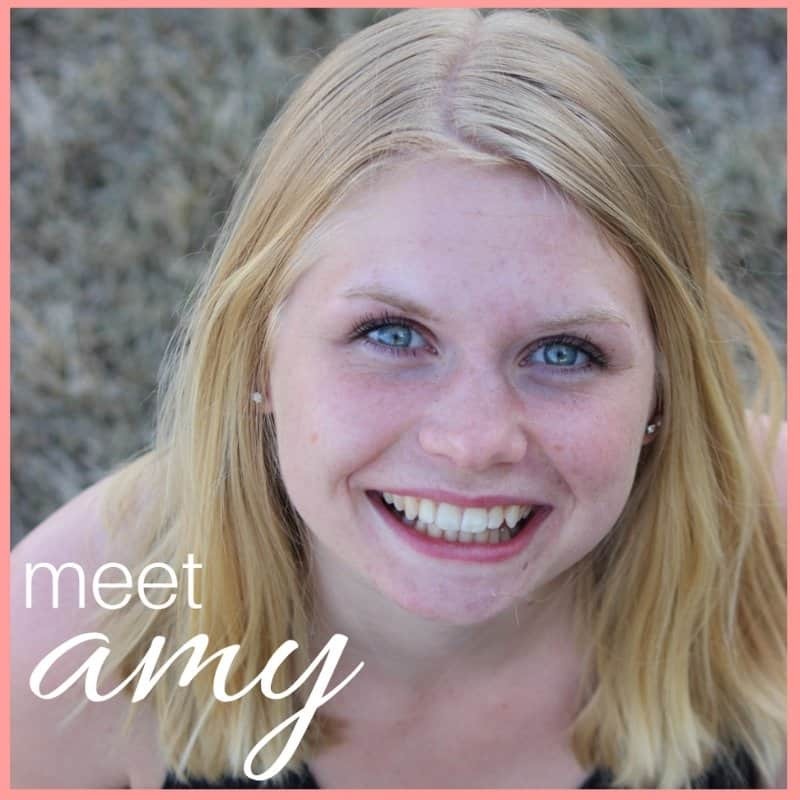 When I got pregnant I instantly started preparing myself as much as I could for what I would experience when giving birth, and I truly believe it was because of the preparations and steps I took while in labor that enabled me to have a quick, smooth delivery. 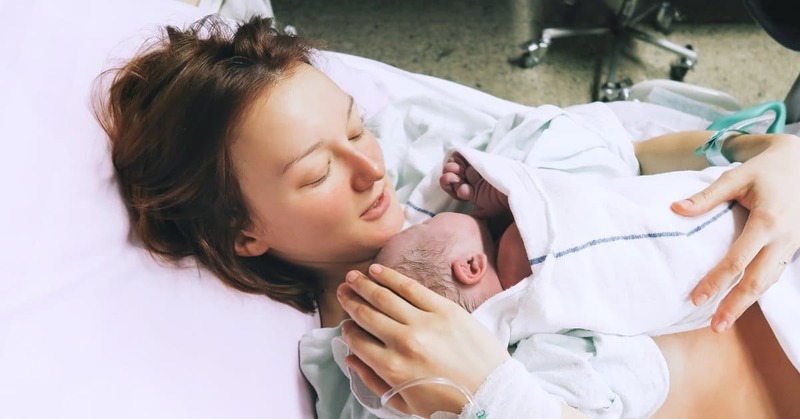 Here are the exact things I learned throughout my pregnancy that helped me learn how to manage labor pain in natural childbirth. I wanted to go into labor naturally (no induction), I wanted to have a vaginal birth, and I didn’t want an epidural or any other form of pain medication. My plan was set, but I wasn’t stuck to it. I had my birth plan as my goal, but ultimately all that mattered was that this baby came into the world safely (which this will help you do). And if safely meant I needed to be induced, needed a C-section, or needed to have some kind of pain medication, I wasn’t closed off to the idea. And, as it turns out, my labor didn’t go exactly according to plan. While I did manage to have a vaginal pain-med-free birth, I did have to be induced. And, while being induced was something I had ultimately wanted to avoid, I knew it was the safest option for our baby. Create a birth plan, but don’t be so set to it that you compromise yours or your baby’s safety and well-being. This birthing plan for Dummies will help you create an effective, yet flexible, birth plan and will walk you through everything you need to know about the Bradley birthing method and HypnoBirthing techniques. When you’re in the heat of labor it’s easy to want to fight each and every contraction that comes on. They do hurt, after all. And what’s our body’s natural response to pain? To get away from it or make it stop. But, when you’re in labor it’s important to remember that the contractions, the pain, are all helping bring you closer to meeting your little bundle of joy. With each contraction you’re that much closer to the finish line, so you want to embrace the contractions and work with your body, rather than against it. Breathing through contractions works wonders. Using different breathing techniques to breathe through your contractions gives you something to focus on other than the pain. It also helps your body work with the contraction rather than against it. There are many different breathing techniques you can use in labor. Regardless of which technique you choose, the most important thing to remember is to KEEP BREATHING. One thing many people do when they are in pain is hold their breath, but you don’t want to do that in labor. You want to keep breathing to make sure both you and your baby are getting sufficient oxygen. The breathing technique that worked best for me during labor was to think of “RELAX”. I would breathe in through my nose and think “RE”, and out through my mouth on “LAX”, with the exhale being longer than the inhale. As the contraction started to get more intense I quickened my breathing but kept the same RE-LAX rhythm. Both the Bradley birthing method and the Lamaze birthing method (which is the most widely used childbirth method) focus strongly on the importance of controlled breathing through the pain. This is a super important point to remember when you’re in labor, because as the contractions get stronger, your urge to squeeze and tense your hands will also become stronger. Any time you feel a contraction coming on you should mentally take note of your hands. Are they relaxed, or are they tense? We’ve all seen those movies with the woman in labor breaking her partner’s hands because she’s squeezing them so hard, but that’s exactly what you want to avoid. Relaxed hands during contractions = a relaxed body, which allows the contraction to work towards preparing your body to deliver your baby, rather than fighting against the contraction. Focusing on keeping your hands nice and relaxed during labor is important, and it’s also a good way to take your mind off of the pain by focusing on something else. Some ladies find focusing deeply on something helps them get through the contractions easier than just keeping their eyes closed and focusing on the contraction itself. For me, I went back and forth between focusing on the second hand of a wall clock across from my bed and focusing on my husband’s nose. As my contractions were getting more intense and I was no longer able to be out of bed, anytime I would feel a contraction coming on I would shut everything else out and focus all of my attention and energy on one of those two things. I’ve heard other stories of women focusing on simple things, one woman focused on a hole in her husband’s t-shirt the entire time she was in labor. And it helped. It doesn’t matter what you focus on, all you need is something to focus on. Physical touch released the oxytocin hormone in your body, and according to studies, oxytocin can help relieve pain. The only catch is that you need the oxytocin while you’re in pain. So, to make oxytocin relieve some of your labor pain you will want to be intimate with your husband during your contractions (which many women will NOT be interested in doing, but there are a few different ways this can be done which don’t require much work on the women’s part). Being intimate with your husband while you’re having contractions could be having him hold your hand, give you a foot rub, rub your back, kiss you, whisper in your ear. Anyway that you enjoy being intimate with your husband normally, can – and should – be done in the delivery room (without being X-rated). While I was in labor my husband rubbed my feet, held my hand, kissed me, and slow danced with me, which I believe played a big role in how well my natural childbirth went. Lots of women scream and yell to deal with labor pain – which isn’t always the best tactic. While using your voice is a good way to cope with the pain, you will want to keep your voice quiet and low (not a high-pitched scream or yell). To do this, practice humming or moaning through your contractions. On top of allowing your voice to help you through the contraction while keeping it low and steady, it also gives you something to think about other than the contraction itself. It gives you something to do through your contraction. 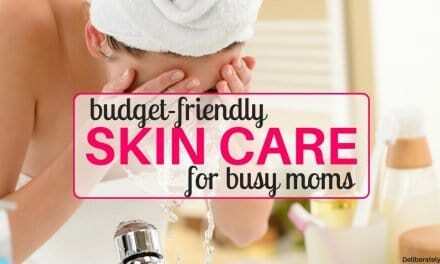 Taking a warm bath is an especially good way to cope with early labor when you’re still at home. Laying in the tub helps take the pressure off of your body and the warm water will help keep your body relaxed. When you get to the hospital they likely won’t have a bathtub for you to use, but they should have a shower. I spent at least an hour just sitting on a bench in the shower while my husband used the shower head to spray warm water on my back and abdomen. This, along with walking, was one of my absolute favorite ways to cope with the pain in labor. The warm water was relaxing and helped ease the contractions. Never underestimate the power of warm water on a sore body. Speaking of walking, when I went into the hospital to be induced, as soon as I got hooked up to the IV I was out of bed and walking around the entire hospital. My husband and I walked, and walked, and walked. We started walking before I was having any contractions, and besides the stops back at our delivery room every half hour to have baby’s heart rate monitored for a couple of minutes and to stop and take a shower or bounce on my birthing ball every once in a while, we continued to walk, and walk, and walk. Even as my contractions continued to get stronger we kept on walking. When a contraction would come on I would stop and relax my entire body, having my husband hold me up until the contraction ended. Then we walked some more. Anytime I needed a break from walking and wanted to relax for a while, rather than laying in bed I would sit on my birthing ball and lightly bounce and roll my hips in circles. I sat on my birthing ball with my back towards the bed where my husband was sitting and he rubbed my back while I bounced and held me up when a contraction came along. Not all hospitals provide birthing balls, so you may have to bring your own along (that’s what I did). This is the birthing ball I used and I would recommend it to anyone. It was the perfect height and width to comfortably sit and bounce on without being too much work. You don’t want to pack up your entire house and bring it with when you go to the hospital, but I would VERY strongly recommend you do bring your birthing ball. When the labor has progressed and you’ve made it to the stage where you have to stay in bed, finding a position that is comfortable for YOU – not the doctor – is vital. Don’t just assume you have to deliver your baby laying on your back. You have options, and you should certainly use them. Remember that gravity does work in helping get that baby out of your body, so finding a position where your body can be elevated with your bum lower should help you get that baby out. The nurses and doctors during my delivery had me move around to several different positions while I was pushing just because baby’s heart rate was decreasing and they wanted to get it back up, but through trying different positions I was able to find one that was the most comfortable for me and helped bring our baby’s heart rate up. Who you have with you in the delivery room (besides the doctors and nurses) should be completely up to you. Don’t feel pressured to have people in your room that you’re not comfortable with, just because they want to be in the room during your delivery. Remember that the choice is yours, do what you’re comfortable with. You might be someone who JUST wants her husband in the room with her, or you might be someone who wants to have her husband, mom, sister, a midwife or doula, and friend in there, too. Whoever you choose to have in your room with you, it’s important to keep in mind that you only want people who will be helpful, positive, and who you can be completely vulnerable with. Labor is a very vulnerable time, and, I believe, it can be a very intimate time with your partner – which is why I was only comfortable having my husband in there with me. When you’re in labor you don’t want to be worried about who is watching you – you want to be able to make all the weird noises and do all the weird things that help you cope. You want to be able to do exactly what feels right for you, without worrying about what people might be thinking. So, whoever you choose to have with you while you deliver, make sure they won’t interfere and will respect the decisions you make, whether you’re having a drug-free birth or not. Finally, remember that this pain you’re going through is only temporary. It’s not going to last too long, and once it’s over you’re going to have a beautiful baby to call your own – and you’ll forget all about the pain you went through to get there. 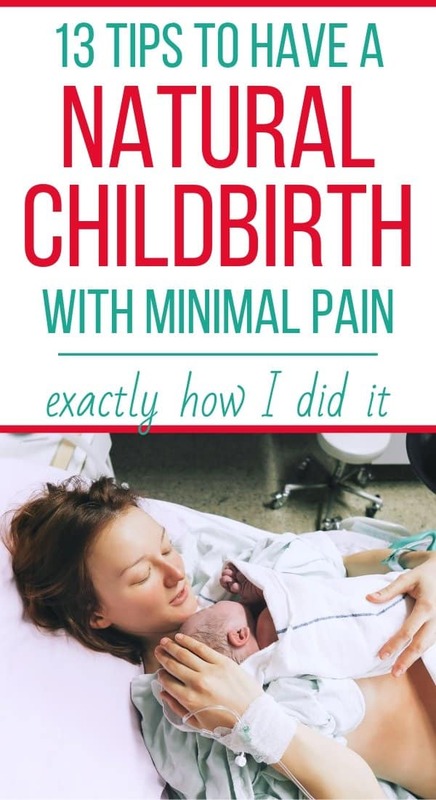 Again, if you are considering having a natural childbirth I would strongly suggest you do your research with this book which talks about having a husband-coached childbirth and use this to learn how to make an effective birth plan. What are a few of your tips to help other moms-to-be learn how to manage labor pain in childbirth? I would love to hear your tips and tricks for a natural way to cope with labor pain.